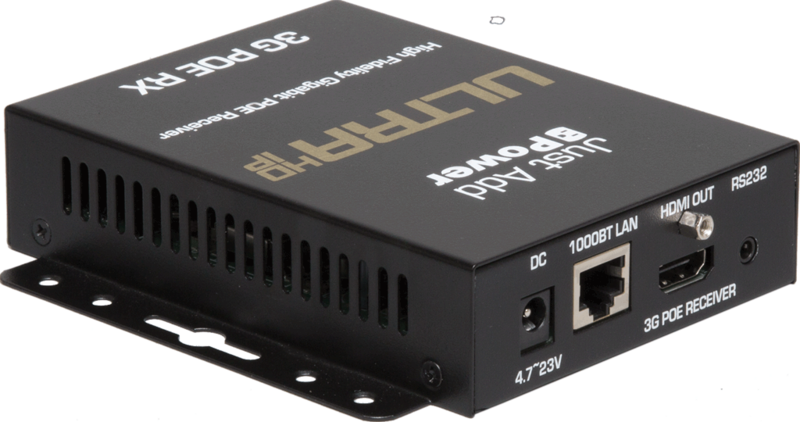 Two new additions to Just Add Power’s award-winning 3G Ultra HD over IP platform, designed for any size of 4K HDMI distribution and HDMI matrixing application, are to be unveiled at CEDIA 2016 in Booth 6626. The new 3G Ultra HD over IP models allow integrators to better manage their hardware budget on projects with 4K HDMI distribution requirements, including 4K with HDR distribution. The ability for these new entry-level models to to be mixed and matched with the more advanced 3G Ultra HD over IP models, means integrators can save on cost without sacrificing enhanced functionality, like audio extraction, downmix from 5.1 and CEC control, in zones where these features are needed. Last year at CEDIA Just Add Power, global leaders in HDMI over IP distribution, unveiled their 3G Ultra HD over IP transmitters and receivers, which are attached to a 1 Gb managed network switch to create an HDMI matrix that delivers 4K Ultra HD content with HDCP 2.2, as well as 1080p and lower resolution content, from any number of source devices to any combination of 4K and 1080p displays. The 4K to 1080p scaler in the 3G Ultra HD over IP receivers allows 4K HDCP 2.2-encrypted content to be downscaled to 1080p for viewing on Full HD TVs, while also being viewed in 2160p in rooms with 4K TVs. Winner of CEPro’s CEDIA BEST award for “Best Multi-room AV Product”, 3G Utra HD over IP was praised for overcoming the difficult residential scenario of trying to distribute 4K and 1080p HDMI sources in tandem to a mixture of 4K and 1080p displays. 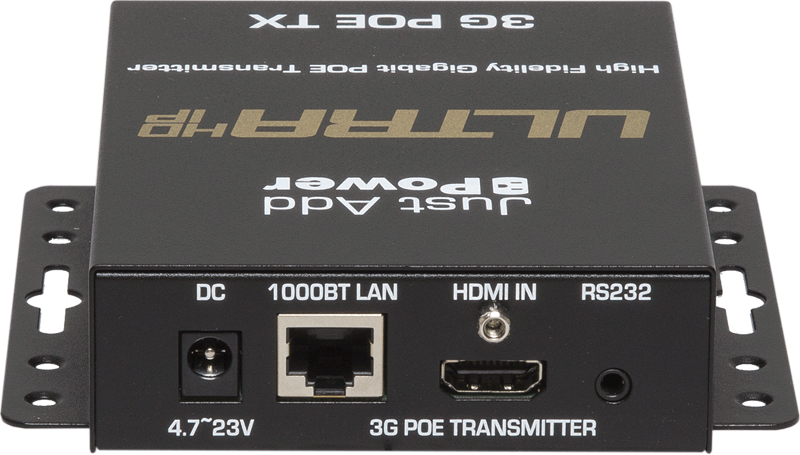 This year at CEDIA Just Add Power is releasing a new entry-level model of 3G Ultra HD over IP transmitter (707POE), and a new more affordable model of 3G Ultra HD over IP receiver (508POE), that will allow their dealers to lower the costs usually associated with residential 4K HDMI distribution projects. These two new models of third generation Just Add Power devices offer an essential 4K feature set for 2016 and beyond: 4K with HDR support, HDCP 2.2, optional 4K to 1080p scaling at the display location, two-way RS232 and IP control, as well as support for all audio formats up to and including Dolby Atmos and DTS:X. Both the 707POE and 508POE can be mixed and matched in the same gigabit network as the existing, more feature-rich models 3G Ultra HD over IP transmitters and receivers (718AVP PoE TX, 717HIFI POE TX, 749AVP Rackmount TX, and the 518AVP POE RX). Ed Qualls, Founder and President of Just Add Power, commented that “the expansion of 3G Ultra HD over IP family of products sees us staying true to our commitment to listen to dealers’ feedback and develop products according to their needs. When we unveiled the first models of 3G Ultra HD over IP hardware at CEDIA 2015, integrators loved that they overcame the difficulty of distributing 4K devices throughout homes with a mix of new 4K displays and legacy 1080p displays. Yet they didn’t always need all of the features supported by the first models we launched last year. This led us to create a more competitively priced baseline transmitter and receiver model that keep the most popular and essential features. Both new models of Just Add Power 3G Ultra HD over IP devices will be shown at CEDIA 2016 in Booth 6626, and are shipping to distributors worldwide in October. For information on other products being shown and prize giveaways taking place at Just Add Power’s Booth visit www.justaddpower.com. Follow @JustAddPowerHD on twitter, and Like “Just Add Power” on Facebook.